UPDATE 11/8/16The LA Times reported the next pretrial hearing in the Durst case is scheduled for February 15, 2017. 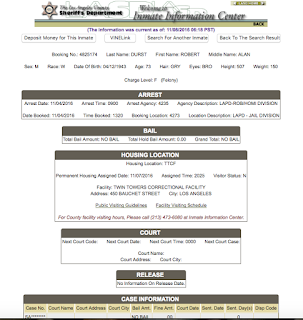 The LA County Sheriff's inmate locator website indicates Durst is currently being housed in the "Twin Towers" facility. Interestingly, the Sheriff's website does not indicate the next court date. 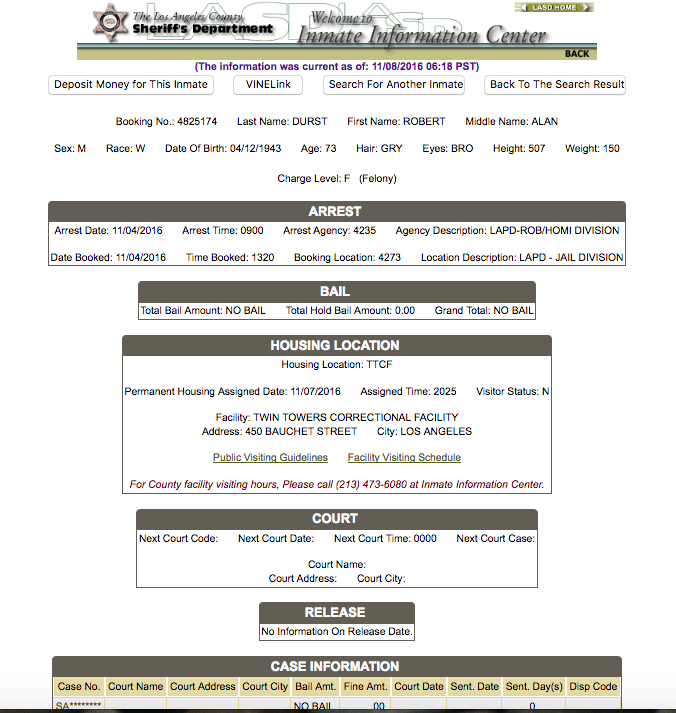 Screenshot of LASD website, detainee Robert Durst information, 11/8/16. Eccentric real estate millionaire Robert Durst, connected to the murder of Morris Black and the 1982 disappearance of his first wife, Kathleen, is due in court today on charges relating to the murder of his long time friend and supporter, Susan Berman. 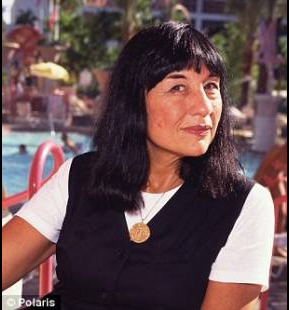 Berman, a mobster's daughter, was found dead in her Benedict Canyon home on Christmas Eve 2000. She was shot in the back of the head and found at least a day after her murder. Durst was arrested in March 2015 and charged with first degree murder in connection with Berman's death. Previously, Durst was arrested for the murder of a neighbor, Morris Black on October 9, 2001. in Galveston, Texas. Durst claimed he murdered Black in self defense. Durst was acquitted of the Black's murder. He eventually pled guilty to body dumping and evidence tampering. Kathleen McCormack Durst is still missing and presumed dead. 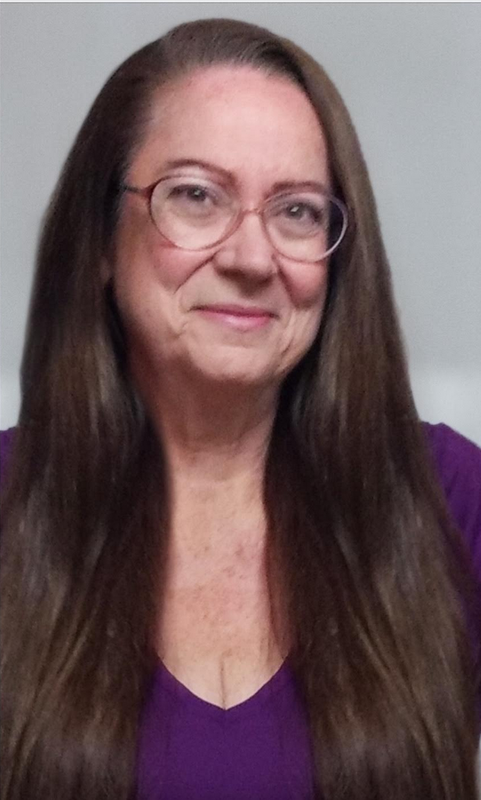 In April 2016, Kathleen's family petitioned a NY court to have her declared legally dead. Andrew Jarecki's HBO documentary, The Jinx: The Life and Deaths of Robert Durst, uncovered physical evidence that prosecutors believe links Durst to Berman's murder. At the end of the documentary, Robert Durst is caught on audio tape stating he "... killed them all." Durst's arraignment, case #SA089983 will be at the Airport Courthouse, Department W81 at 1:30 pm. Deputy District Attorney John Lewin is prosecuting the case. Expect a big media turnout for Durst's first appearance in California.